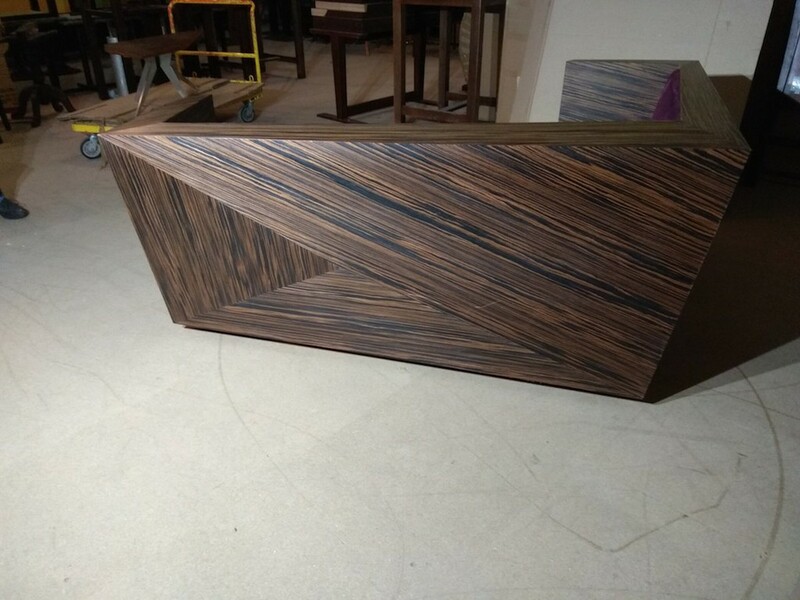 Purchased from a high end manufacturer of contract furniture for the hospitality sector. This unit is unique in design and shape, not at right angles on either of the ends or even on top plinths as well as the back panel. 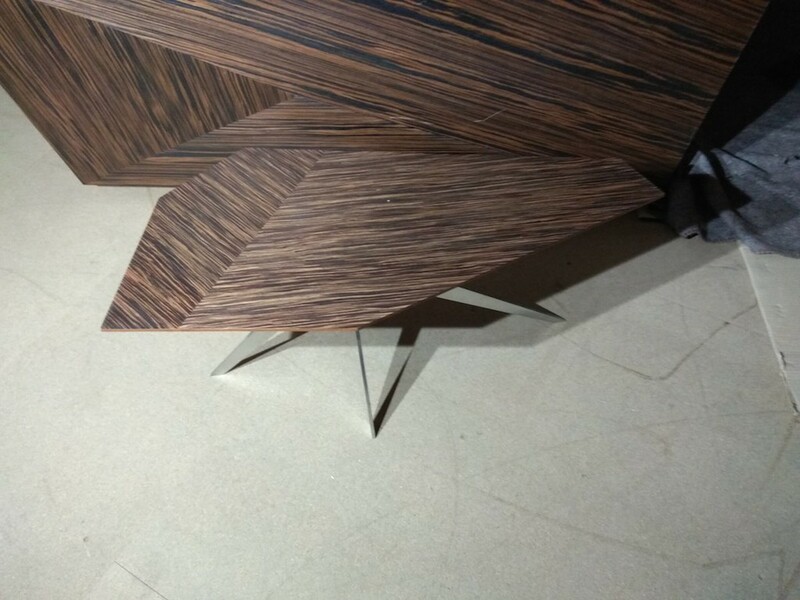 Looking from the bottom of the frame ends the laminates slant outwards which is unusual. 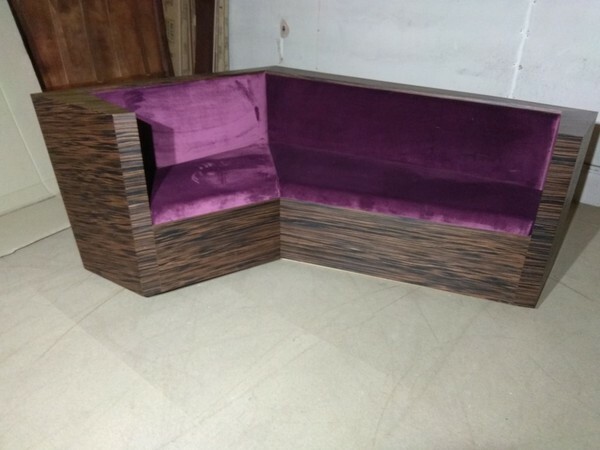 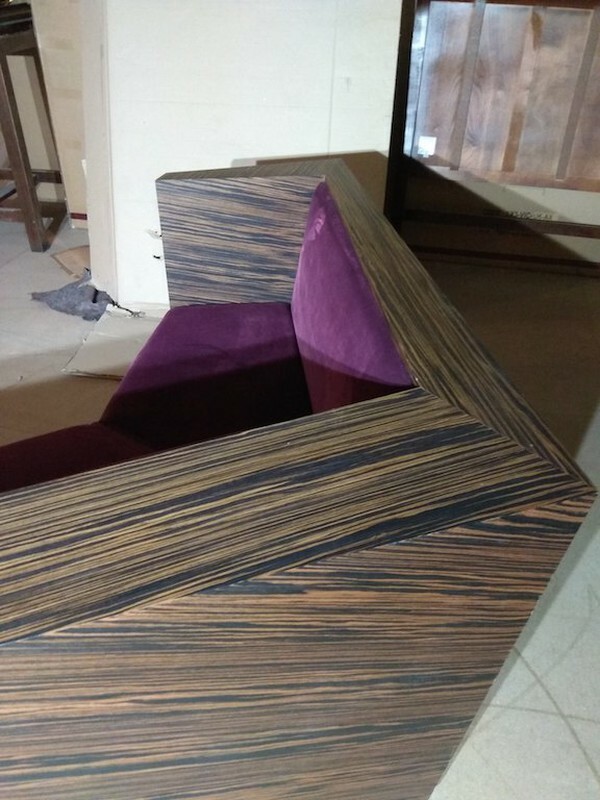 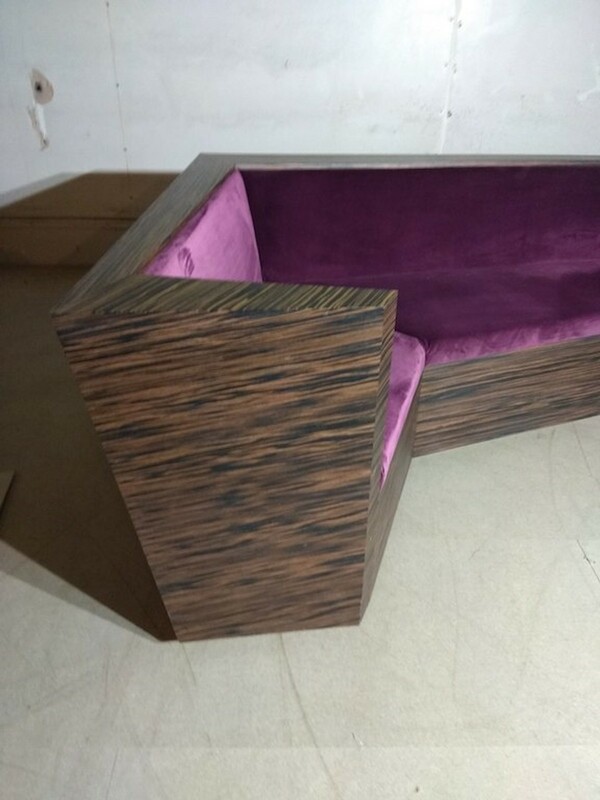 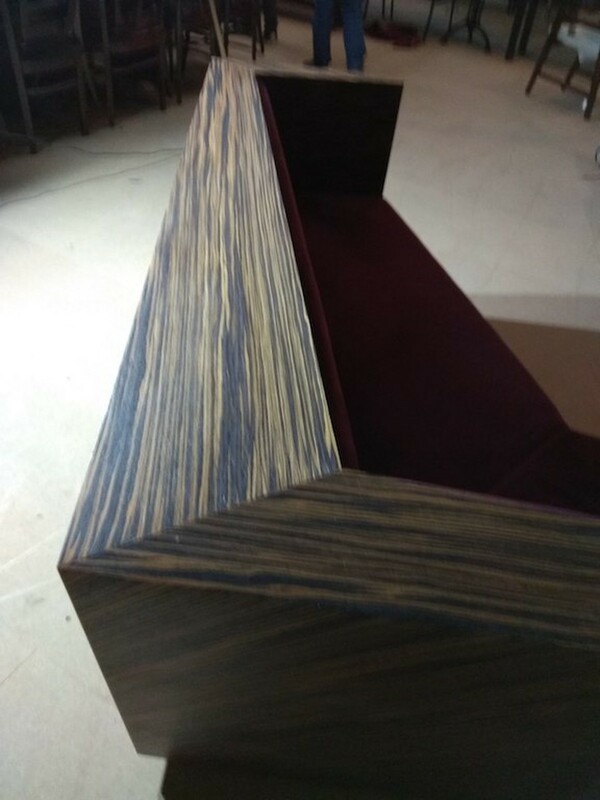 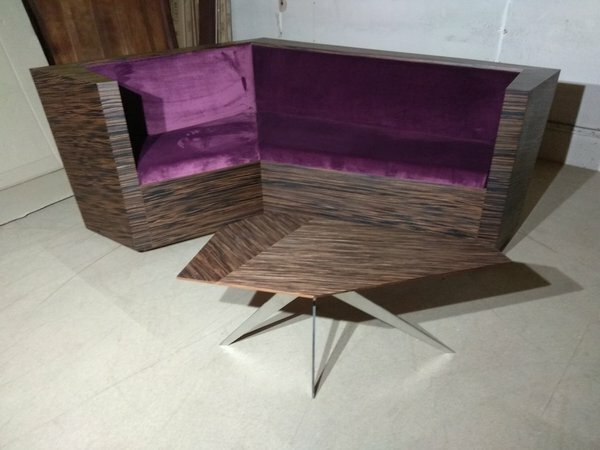 The whole unit is finished in Zebrano laminate and the upholstery is plush deep purple dralon. 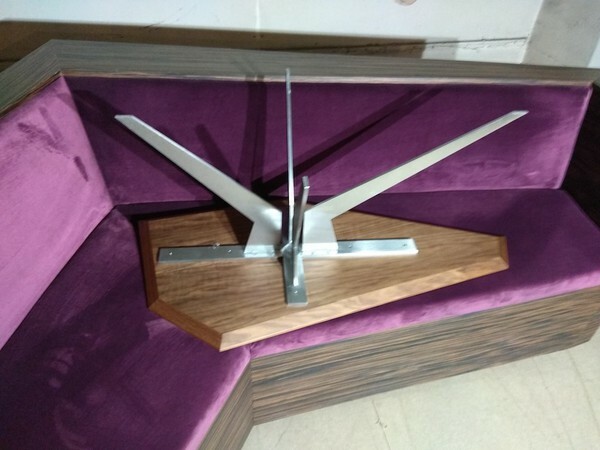 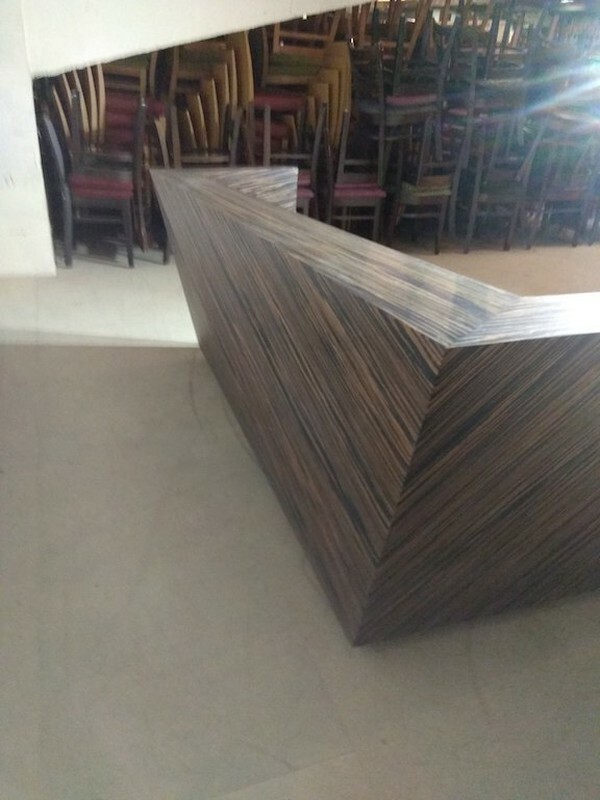 It supplied with an equally impressive polished steel framed matching Zebrano laminate coffee table shaped to marry the front shape of the seating. 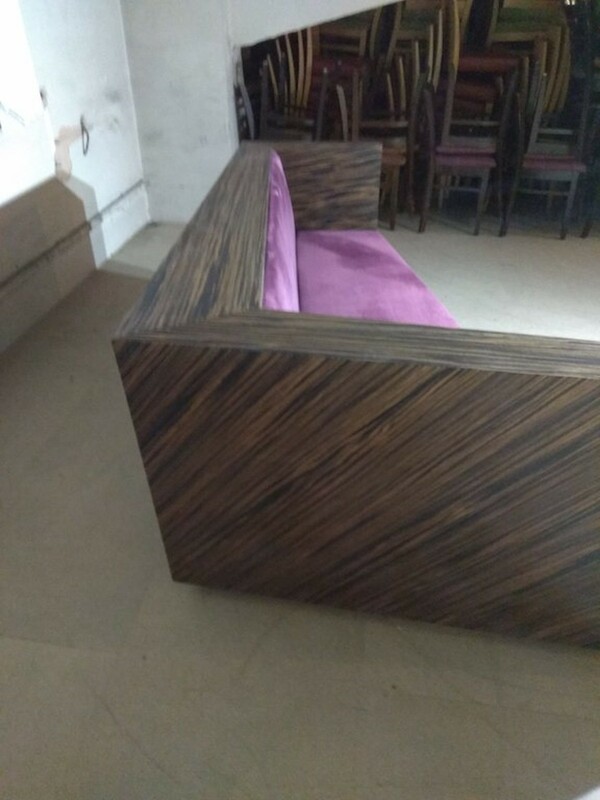 Viewing available by appointment at our 10,000 so ft warehouse in Derby. Collection preferred but can quote for delivery (to your front door) with your post code.